Rory Murphy, Chair of the maritime industry’s pension fund – the Ensign Retirement Plan, brings it back to basics, and tells us, why pensions matter. The UK’s shipping industry is a hugely important growth sector, contributing around £40 billion to the UK economy, supporting nearly a million employees and responsible for moving 95% of the UK’s global trade. The industry is keen to promote careers for young men and women but when it comes to rewarding and retaining that talent, what tools do employers have at their disposal? Across industry, organisations see pensions as a useful tool to attract and keep employees, but navigating some of the rules, regulations and terminology, can make pensions a little off putting. Saving through a pension is one of the biggest financial decisions most people make. For some, the money involved can be equivalent to, or even greater than, buying a property. Yet while there is no shortage of information available on pensions, there is a clear gap in most people’s understanding of them. Which is a shame because a pension is really a very straightforward idea. It’s simply a way of putting money aside throughout your working life to help provide an income after retirement. As a trustee of a pension fund, one of my greatest frustrations is the tendency of the pensions industry to overcomplicate this fundamentally simple idea. It not only clouds people’s understanding of pensions, it also undermines confidence in them. A recent survey found only one in three consumers thought pension funds have a good reputation. This is despite the fact that, according to UK Government statistics, while the average gross income of non-retired households doubled, in real terms, between 1977 and 2016, pensioner household incomes nearly trebled over the same period. However poorly understood, it’s fair to say that pensions provided through the workplace have contributed significantly to the incomes of millions of retired workers across the UK. Why should I have one? How is it different to other savings? For an employee, a pension is a very effective way to set money aside – more so than, for example, a savings account or even an ISA. This is for a number of reasons. Firstly, for UK taxpayers a pension is a tax efficient form of saving. Your pension contribution is taken from your gross pay, before tax, so paying into a pension is tax-free. And the interest on your pension savings is also tax-free, unlike money in a savings account, for example. Secondly, the money you pay into your pension fund is topped up by a contribution from your employer, which often matches, and sometimes exceeds, your own contribution. There are some tax advantages to other forms of saving. But in, say, an ISA, you’re the only one paying in. With a pension, your employer is also contributing – often quite generously, so the money you save builds up more quickly. For employers there is an upside too. A good, well-run pension scheme is an important part of the employment package, and can help in attracting and retaining staff, particularly at times of low unemployment when labour – especially skilled labour – is a valuable commodity. There is another important consideration for employers, relating to recent UK government legislation. Under the new “auto-enrolment” rules, all UK employers are required to sign their staff up to a pension scheme, and contribute at least 3% of pay to their workers’ pension funds. The Ensign Retirement Plan was set up three years ago to enable employers across the shipping and maritime sector to meet their requirements under this new legislation. Rather than each employer having to set up their own arrangements “in-house”, with all the management, administrative and other costs that that entails, the Ensign Retirement Plan is an industry-wide scheme to which all shipping and maritime sector employers can sign up, and which takes on much of the administrative and regulatory burden that would otherwise fall on the business. One further crucial advantage of this scheme is its portability. If a worker moves from one employer to another within the same industry, they can keep the same pension, saving a significantly on red tape. The scheme is managed and administered centrally by a team with a proud heritage of pension provision in the shipping and maritime industry. The Merchant Navy Officers Pension Fund was set up over 80 years ago and continues to provide valued retirement benefits to thousands of maritime workers and ex-workers and their families. The same team now runs the Ensign Retirement Plan, overseen by a board with 50% representation from maritime industry employers. Why is the maritime industry different? What challenges does it face? The maritime industry faces a range of challenges, some of them unique to the sector. Like employers in other sectors, shipping and maritime companies have to deal with new and expanding regulatory requirements in their pension arrangements, which can be a costly drain on in-house resources. Many employers deal with this by effectively outsourcing their pensions, often to a large “master trust” scheme, which runs the pensions of numerous different employers and their staff, across a range of industries and sectors. There are relatively few of these, however, which specialise in the pension arrangements of specific industries, and only one – the Ensign Retirement Plan – that provides those services to the maritime industry. Of course, there are some challenges, which are unique to the maritime industry. Seasonal work patterns, for example, can mean some workers move more regularly from one employer to another, which can mean employees holding an ever-growing number of small pension “pots” with different employers. Each of these pensions generates red tape and administrative cost, and which generally falls on the employer. As a “portable” pension, the Ensign Retirement Plan reduces those costs significantly. In addition, auto enrolment regulation has proved challenging for some shipping companies to interpret. Employers are required to enrol employees ‘working in the UK’, but what does that mean if they are seafaring? 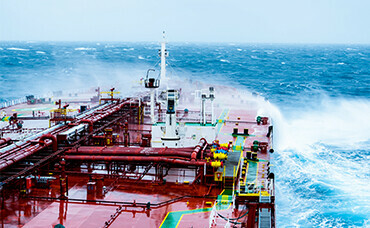 Employees have 30 days to respond to ‘opt-out’ letters, which could be difficult for those at sea for months at a time? As a pension scheme specifically designed for the maritime industry, an important part of our job is to be a voice for the industry on pension issues. Having raised the above challenges with the Government, we are now working on conducting a survey amongst shipping employers that will feed directly into the Department for Work and Pensions, to highlight any concerns and challenges in applying auto enrolment legislation to seafarers. So why have a maritime industry defined contribution master trust pension scheme? The maritime industry has a long and proud heritage of providing valued pension arrangements for its workers. The Merchant Navy Officers Pension Fund was a pioneer of traditional workplace pension provision. Most others of its kind, have seen spiralling costs, rising deficits and funding problems, the MNOPF has defied that trend and actually improved its funding position in recent years, in the process saving employers across the industry over £500 million in pension contributions. The Ensign Retirement Plan continues that proud tradition by offering a high quality, low cost pension scheme for the maritime industry. As a not-for-profit scheme, we can continually invest in the best solutions delivered at the lowest costs, providing valued pension benefits for employees while minimising cost and administrative burdens on employers. It may fly in the face of perceived wisdom to say this, but there are sound reasons to be optimistic about the future of pensions. A good pension does not have to be an unsustainable burden on employers. As the Ensign Retirement Plan demonstrates, a pension, which provides meaningful benefits to members, can be cost-effective and efficiently run, with minimal cost and administrative burdens on employers. Arguably more importantly, well run pensions like this are a hugely important part of the contract between employer and employee. They can boost the commitment of both parties, helping employers to attract and retain staff, and demonstrating employers’ willingness and ability to play a role in the long term financial wellbeing of their employees. The beauty of the ERP is that, as an industry-wide pension, it takes on much of the cost and administrative hassle that other individual employers face, and enriches the reputation of the industry that is so important to all of us.